For many people, the overriding concern with moving into a Personal Care community is the finances. How much can I afford? Are there any kinds of benefits available? What about long-term care insurance? How much do you currently spend to live in your home? How does that compare to the cost of a senior living community? Most people are aware of what they pay on their mortgage or utilities but fail to take into account all the other expenses they incur living at home. To help you compare your costs, we've provided a handy worksheet. Download this form and take it with you when you visit a senior living community. Won't my health insurance or Medicare pay for personal care or memory care? Unfortunately, no. Ordinarily health insurance policies and Medicare usually do not pay for personal care expenses. Medicaid, a federal/state health insurance program, will only pay for care if you've already spent most of your savings or other assets AND live in a skilled nursing facility (nursing home). The best time to buy a policy is in middle age while you're still healthy. Many people don't think about long-term care until they are in their 70s or 80s and their health begins to fail. At these ages, you may be too high a risk factor for an insurer to cover you, or if you do qualify the premiums may be astronomical. It depends upon your situation. Long-term care insurance is expensive. An individual who's 65 years old and in good health can expect to pay between $2,000 and $3,000 a year for a policy that covers nursing home care and home care with premiums adjusted for inflation. You will need to consider your current assets and income carefully. Discuss this with your financial advisor. Coverage. 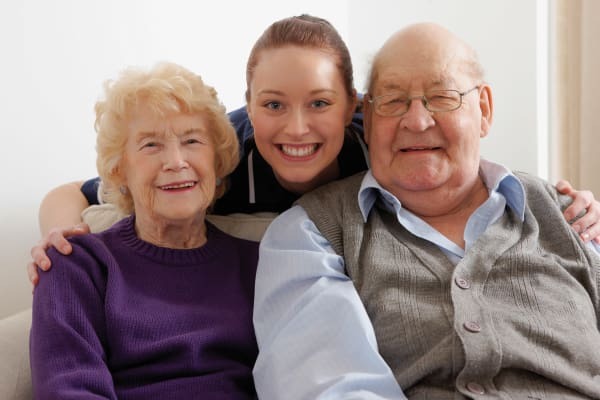 Some policies pay only for nursing home care or home care. Some provide a mixture of care options that include nursing homes, assisted living communities and adult day cares. Some will pay for a family member or friend to care for you in your home. Allow you to downgrade your coverage if you cannot afford the premiums. Allows the right to cancel the policy for any reason within 30 days of purchase and receive a refund. This is a benefit paid to veterans or spouses of a veteran who require the "aid and attendance" of another person for activities of daily living (ADLs) or for those that are homebound. This benefit is awarded in addition to the veteran's basic monthly pension. This Special Pension (part of the VA Improved Pension program) is available to individuals who reside in assisted living communities, residential care homes, skilled nursing facilities and those receiving personal in-home care. Is the benefit available to all veterans? The benefit is specifically for veterans who have served during wartime. A Veteran with 90 days of active duty with at least one day during active Wartime is eligible for this benefit. A surviving spouse of a War Veteran may be eligible if married at the time of death. The individual must qualify both medically and financially. How do you apply for the benefit? Most senior living communities can refer you to a professional who will assist you in the completion of the necessary documentation. You may also apply by contacting your Regional Veteran's Administration Office. To locate the closest regional office to you, visit the VA website. How long does it take for the benefit to be approved? On average, it can take between 10 - 12 months for benefits to be approved. The good news is that if approved, the benefit is awarded retroactively to the time of application. If my parents were divorced, is my mother (as a former spouse) eligible for the benefit? Typically, no. If you have other questions about the Veteran's Aid and Attendance Benfit, please call us. If we can't answer your questions, we'll be sure to connect you to someone who can. An adult child paying for their parents' care may also qualify for the tax deduction if the parent is a dependent.